Home > Resources > Transfer > How to Transfer Data from HTC to iPad? Transferring data from an HTC phone to an Apple iPad does come with certain challenges. Particularly, if the user is not familiar with the type of procedures needed to complete the transfer without experiencing various kinds of unforeseen issues. The most critical question is that the HTC phone and iPad are running different operating systems. Here, we are going to tell you how to transfer data from HTC One M8/M9/M10 to iPad Pro/Air/4/mini with one click. The tool you will need is the HTC to iPad Transfer, which is specially developed to transfer data from one phone to another without any hassle. 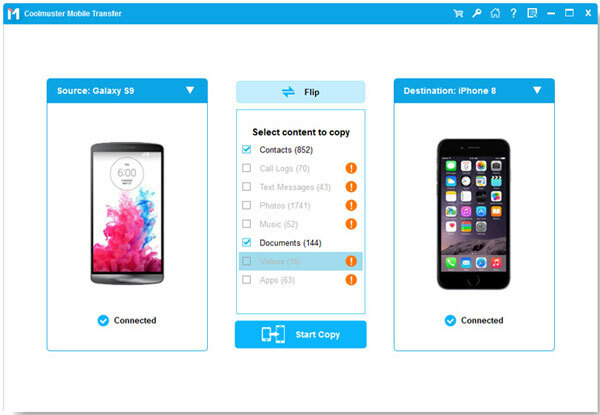 It allows you to transfer data, including contacts, messages, photos, call logs, videos, apps and many more from HTC to iPad in just one click. It is complete risk-free and takes care of your privacy. It supports Android, Windows, iOS, and Nokia Symbian. It is known to work for more than 3000 smartphones over different networks. 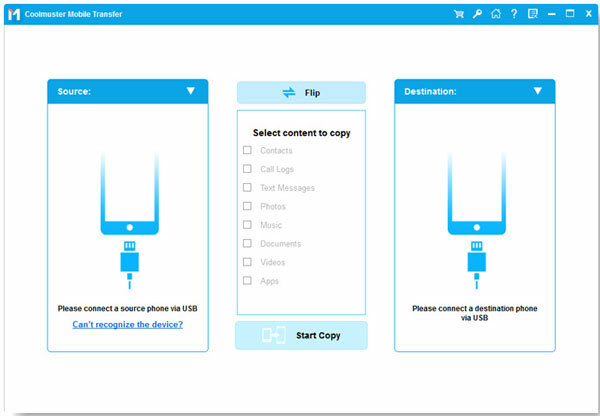 Read the following guide to see how to use the HTC to iPad Transfer to copy files between the two devices. First of all, download and install the transfer program on your computer. Launch it and then get your HTC phone and iPad connected to the computer via two USB cords. Then you can see the below interface. Select the Phone to Phone Transfer option on the interface and this software will detect the two connected devices. Both of them will be displayed side by side. And you can click Flip to switch their places. Tick off the file types you want to transfer from your HTC phone to iPad, and then click the "Start Transfer" button to begin the transfer process. There will be a progress bar showing you how much data has been transferred.